Major cities are Phoenix, Flagstaff, Albuquerque, Oklahoma city, St. Louis. Refueled 9 times. Went 260 liters of gasoline. Spent about $ 300. In some places, I drove with a maximum speed of 120 miles. The average speed was 70-80 miles. The bike never once sneezed. 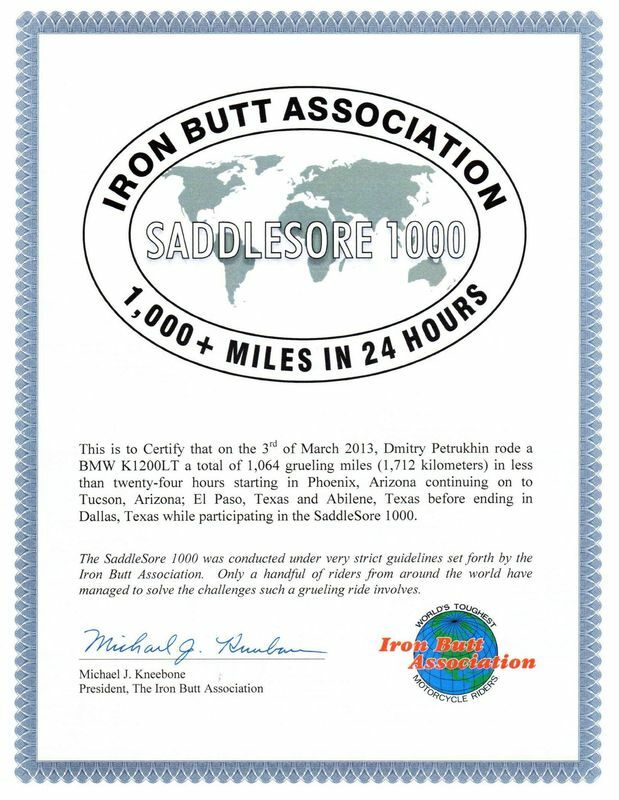 Thank you to my iron bolívar. Toll. Phone IPHONE would (in the Parking lot left on a motorcycle and where the lost). Ate a SEAL because of the intense chewing gum. Lost 20 minutes of time when a COP in Oklahoma forced him to remove the flags from the motorcycle. Joy. I felt that I could do it, especially since recently in Argentina I grabbed 2,000 km per day and not thinking about records. 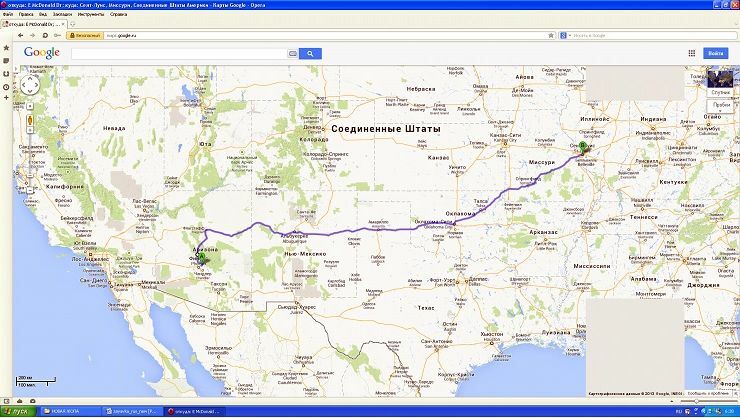 In the United States, I’ve traveled 1,000 miles a day twice a day, and that’s 1,500 miles a day. Postcript. 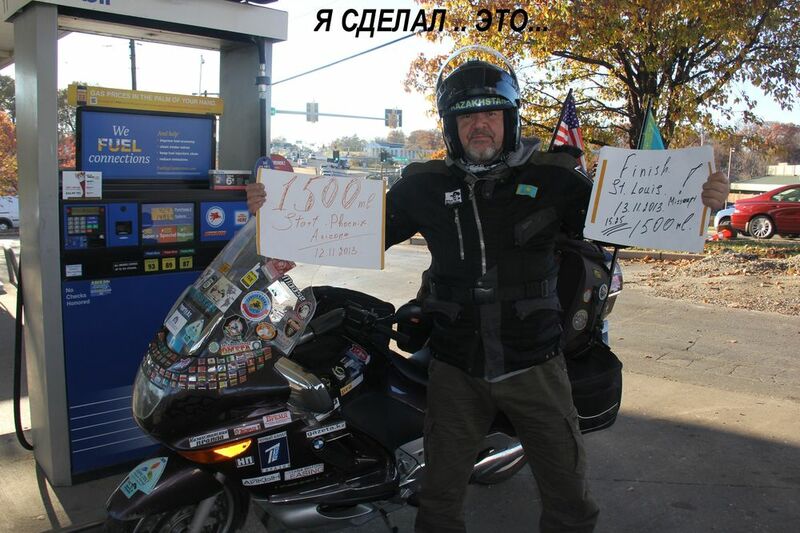 With 100% certainty I can say that on a motorcycle BMW K1200 LT is possible to make such records (1500 miles) – but only on GOOD roads of the USA and EUROPE.